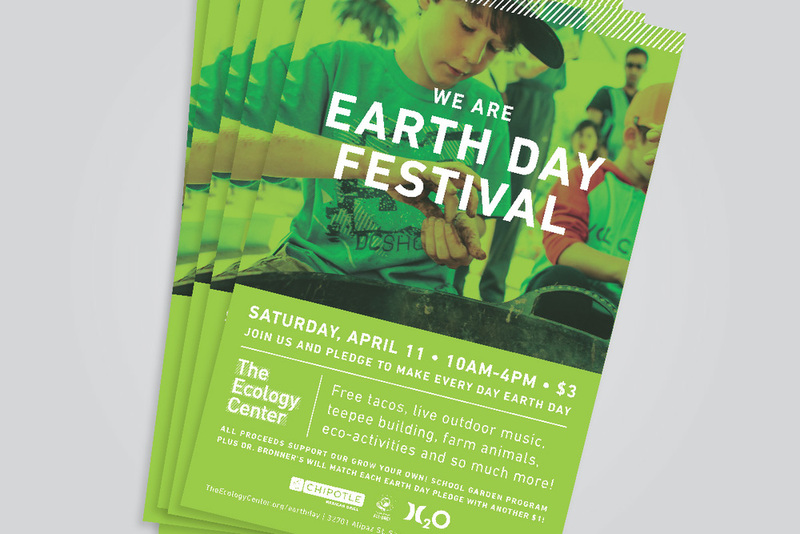 Every year The Ecology Center hosts a community festival around the theme 'Earth Day is Every Day' which is attended by over 2000 people. Core branding colors, dynamic photography and 'hashmarks' graphic element were used to create a consistent marketing system used for this and other similar events held at the center. 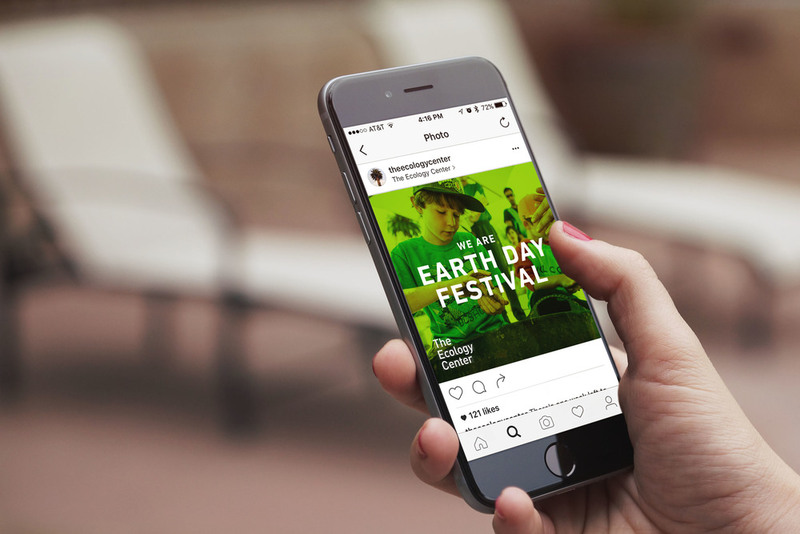 Leading up to the event, participants were encouraged to pledge to make a difference online by choosing a simple everyday action that helps them live more sustainably. Digital social media and email blast materials were utilized as well as traditional print posters and direct mail postcards to generate buzz and rally the community's participation. Copy written by Ann Nguyen. Art direction by David Rager.